As we come on the air, the Mid-West of America is struggling with wide-spread floods. Hundreds of thousands of farm animals died, and a few people. The damage to roads, homes and bridges is extensive. But the damage to the food system and even long-standing family farms may take years to recover, if ever. Fields have been washed away or covered in sand and sludge. That as the Spring melt and floods are just beginning. That huge story has dropped out of most media coverage. The ramifications of this extreme weather event in the food basket of America will go on for a long time. My thanks to all the listeners who sent tips and videos of that event – the extremes that scientists have been predicting for years as we overheat the planet. Even more deeply hidden from our comfortable lives: Cyclone Idai has ravaged East Africa. In early March extra heavy rains flooded Malawi, before becoming a Cyclone, or Hurricane as known in the North. Cyclone Idai struck Zimbabwe and Mozambique in the middle of March. Malawi has about 87,000 displaced people in camps. In Mozambique, the city of Beira with half a million people was almost demolished. Parts of Zimbabwe are still cut off. Hundreds lost their lives. Likely millions of people are without food tonight, and without hope of planting a new crop. Aid is starting to come in, but really, many will never recover, just as Puerto Rico has not yet recovered from Hurricane Maria two years ago. The Intergovernmental Panel on Climate Change released their report on extreme weather events in 2012, with more in 2013. Half a dozen years ago we knew this would happen. What if great masses of clouds disappear as the world warms? Without their shade, Planet Earth could get 8 degrees C. hotter, or 14 degrees Fahrenheit of additional heat. That would be game over for life as we know it. It sounds like science fiction, but new science says it is possible. This comes from an award-winning scientist. Dr. Tapio Schneider is a Professor of Environmental Science and Engineering at California Institute of Technology, and Senior Research Scientist at NASA’s Jet Propulsion Laboratory in Pasadena. His paper “Possible climate transitions from breakup of stratocumulus decks under greenhouse warming” was published in the journal Nature on February 25, 2019. 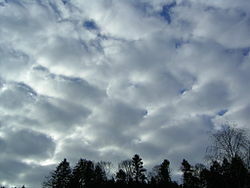 In my lay understanding of this paper, stratocumulus clouds, unlike some other types, depend upon cooling at their upper surface to maintain themselves. When the blanket of carbon dioxide reaches a certain point, that cooling cannot happen, and so stratocumulus clouds don’t form. Then vast amounts more sunlight reaches the Earth’s surface, heating up the planet. This is nonlinear feedback process. In the interview, I confirmed with Dr. Schneider: if Earth loses the massive cooling provided by stratocumulus clouds, the resulting 8 degrees C, or 14 degrees F warming is ADDED to temperatures in an already much hotter world. For example, if we reached 6 degrees C warming at 1200 parts per million, Earth then goes to a steaming 14 degrees C without these clouds! This paper suggests without the clouds, the subtropics get even hotter, going 10 degrees C. warmer. That is terrible news for South Australia, North Africa, South China, the Middle East, the U.S. South and Mexico, and a band across South America including Brazil and Peru. Because they are more exposed to the Sun’s rays, the subtropics get even hotter, beyond an even distribution of the heat over the globe. What is that danger point? This paper suggests it lies between 1200 parts per million carbon dioxide in the atmosphere, and perhaps 2,000 ppm. Right now we are around 410 ppm, and gaining about 3 ppm per year. At our current emissions, the atmosphere would hit that lower limit of 1200 ppm some time around the middle of the next century. I have heard business leaders and a few climate doubters suggest humans could drive emissions to 1,000 ppm or 1500, and that would be no problem. After all, they say, Earth has had much higher levels of carbon dioxide in the past. But now we know that before we reach 1500 ppm, there is a hidden trap where vast masses of clouds, currently shading the Earth, could fail to form. Yes carbon dioxide has been higher before, but there were no mammals then, and we would experience a large-scale mass extinction. We can’t risk anything like that, and this is just one of the large unknowns we are discovering as the planet warms. Hopefully we will never reach 1200 ppm. Tapio Schneider is optimistic that we will not go that high – but his optimism is based also on a darker thought: given the weather extremes we currently experience with just one degree of warming, just doubling our CO2 to 800 ppm may also be fatal to civilization and still likely trigger a further mass extinction. There are other possibilities. We may run out of fossil fuels, or we may come to our senses and change our energy system and lifestyles away from greenhouse gas emissions. When scientists were ready to test the first atomic bomb on July 16, 1945, some worried the explosion could set off a chain-reaction around the world. There was no physics behind that, and most thought it would not happen. Suppose they had more science like this cloud paper, pointing to an upper limit where a bomb would go out of control, say near 20 megatons. It would be suicidal to keep testing bigger nuclear bombs, to find out where that limit is for sure. Isn’t that what we are doing with carbon dioxide now? This paper makes clear that current climate models cannot simulate the reality of observed cloud formation. This flaw in climate models suggests predictions made by agencies like the Intergovernmental Panel on climate change are underestimates. The IPCC acknowledges that cloud science remains a problem to be solved. This new science also finds that if the stratocumulus cloud barrier is reached, it could take a long time for those clouds to form again. Just going back below 1200-2000 ppm probably will not bring them back. Earth’s atmosphere would have to go much lower before decks of stratocumulus clouds appear again in the sub-tropics. I think we need a name for this newly found limit to clouds. Tapio and his crew have no official name for it, other than the Stratocumulus Transition. I think “the cloud apocalypse barrier” is better. Tapio Schneider has published an excellent Q and A about this paper, in plain English, here. You can also still learn the development or our knowledge of how the atmosphere works, from this 2006 summary of that science by Tapio Schneider, “The General Circulation of the Atmosphere“. Read more about this new science here in Quant magazine. The wave of humans into cities continues around the world. But what if we can’t find the fossil fuels to support those billions of people, or we can’t use them due to climate damage? Can city-building reverse into a pulse of humanity back to country life? Jason Bradford thinks so. Jason is a biologist, a farmer, and Board President of the Post Carbon Institute. He is here to talk about his latest report “The Future Is Rural: Food System Adaptations to the Great Simplification”. The report is free from the Post Carbon Institute (sent to you by email). 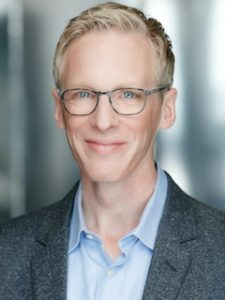 From Corvallis Oregon, we welcome Jason Bradford to Radio Ecoshock. I lived on 200 acres in the country, moved to the city, and now I’m back in a rural village. Is that a common story, and will it become THE common story? Is this predicted movement toward the countryside based more on “peak oil” theory, or on limitations to carbon emissions required to prevent unsurvivable climate change? Four out of five Americans live in cities now, and the movement toward cities is still increasing. The same is true in Canada. The number of city dwellers is now greater than rural in China as well, and world-wide. It seems pretty brave to predict that momentum and direction will change. When I read between the lines of this new report from Jason, I don’t see a pleasant adventure, like the back-to-the-land dream of the 1970’s. This great simplification could be a wrenching experience driven by panic, and maybe by outright hunger. On October 31st, 2018, I broadcast the first extended English language interview with the French author Jean-Marc Jancovici. Jason and I discuss the key role of natural gas in modern agribusiness. As a farm manager, Jason was able to write in real options for agriculture, like growing cover crops, and varieties that do not demand natural gas for the drying process (quite common today, and all dependent on harmful fracking). This report contains a section on “Stress Events to Watch For“. A key food stress event has already occurred, when Russia cut off wheat exports during the drought, heat and fires there in 2010. It’s worth out checking Jason’s other signs of food stress. Wisely, he doesn’t attempt to put a date on these big changes. Our complex system makes that prediction difficult. But sooner or later, due to energy stress and other factors, we cannot sustain the human population, or even a reduced population, without simplification, and de-urbanization, he says. I am concerned there could be more soil loss, and more carbon lost from those soils, released to the atmosphere. If this new rural future isn’t careful, that alone could be a powerful driver toward a fatally hotter world. Jason covers the problems or rural “intensification” in a whole segment of the report. Part of the narrative in this new Post Carbon report involves “the Great Simplification”. That term seems to originate with a talk given on Earth Day 2018 at the Post Carbon Institute by Nate Hagens. The new report predicts “as we have less energy available, our society will become less complex, characterized by fewer monetary transactions and an increase in subsistence and informal economies.” I would like to unpack that. How can we know there will be “fewer monetary transactions”. With new information technology, in fact jobs may become temporary contracts, as short as a few hours, and more monetary transactions will be carried through a kind of block-chain economy. Can we know there will be a growth in “informal economies”? Isn’t it equally possible that mass gathering of information will have spawned a formal, and almost dictatorial economy? If cash disappears, as it is doing in Sweden, and as India has threatened, then a corporate fascist government could directly control all wealth, while attempting to crush “informal economies” by force or starvation. I guess my worry is that we should not oversimplify the future. Others point to the experience of Cuba when it was suddenly cut off from both sugar exports and oil imports when the Soviet Union collapsed around 1991. We discuss that. The mantra of many environmentalists and energy watchers is that we must develop local resources to feed ourselves. But doesn’t that make us less flexible if extreme weather events driven by climate change, make local production impossible for a few years, say by drought? Won’t we need large food flows to cope with climate change? Bradford isn’t saying the whole economy of food exchange will disappear. My guess is that we will still have areas specializing in wheat or rice for a market. Of course, with climate change maybe we won’t just move toward the nearby country, but move toward the cooler Poles, or to high elevations. Is that in a more distant future, or is that a whole new aspect of the coming mass migrations? Jason also tells us about a new podcast from the Post Carbon Institute called “Crazy Town”. Find it here. You can also find Radio Ecoshock shows on Sound Cloud, and some select interviews on You tube, as posted by “Stop Fossil Fuels”. My great thanks to listeners who support my work by donating to Radio Ecoshock, either monthly, or as a one-time donation. You literally keep me going. I definitely don’t agree with Tapio Schneider’s optimism regarding about our future. I think this is another case of a scientist not knowing the details and problems with renewable energy, climate mitigation efforts and adaption strategies. His assumption that we’re going to solve this is disturbing (because he offered zero evidence). The wet-bulb temperature limit for most food crops is well below the temperatures he was referencing, and when that goes, there’s no “solving” anything. Thanks Alex for this show.